The American Civil War pitted brother against brother and divided a nation. On the fields and hills surrounding Gettysburg, Pennsylvania, the war turned in favor of the Union at the cost of thousands of dead, wounded, and missing soldiers in just three days of battle. 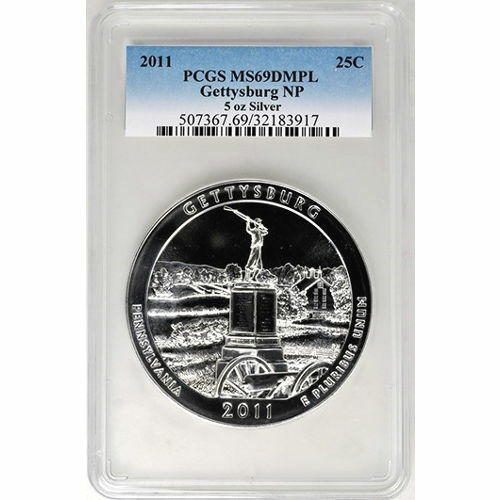 This hallowed ground is commemorated on the reverse face of the 2011 5 oz Gettysburg ATB Silver Coin, now available from Silver.com. Only 2,042 coins are available in this grade and condition! Struck with a face value of $0.25 (USD) by the US Mint. Features a stunning deeply-mirrored, proof-like finish. 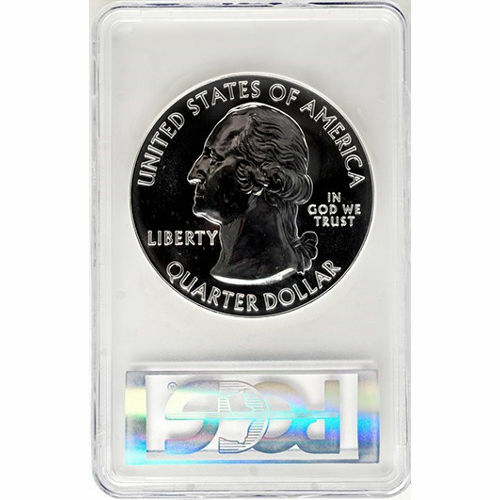 Available in a PCGS plastic slab to protect the coin’s condition. As the Confederate forces under Gen. Robert E. Lee clashed with Union Maj. Gen. George Meade’s Army of the Potomac at Gettysburg, the three-day war would unleash a level of death never before seen on an American battlefield. When the battle concluded, there were an estimated 51,000 soldiers who had been killed, wounded, or listed as captured/missing. America the Beautiful is a 56-coin series honoring monuments, parks, forests, and other memorials from across the country. Launched in 2010, the program is scheduled to run through 2021, with five new coin designs unveiled each year by the United States Mint. The reverse bears the standard image of the nation’s first president, George Washington. John Flanagan designed the image found on American quarters in 1932, using William Cousins’ 1786 bust of President Washington as inspiration. Each of the coins in this listing features a deeply-mirrored, proof-like finish, a rarity on bullion coins. These coins also have a near-perfect grade, meaning they have their full, original luster, and no more than two minor detracting flaws. These flaws are found only outside the primary focal areas of the coin, and often require magnification. We encourage all Silver.com shoppers to contact us with questions about our products. You can reach a Silver.com associate at 888-989-7223, chat with us online through our website, or send us an email. 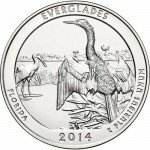 If you are looking for similar products, be sure to check out our full selection of Certified Silver Coins.